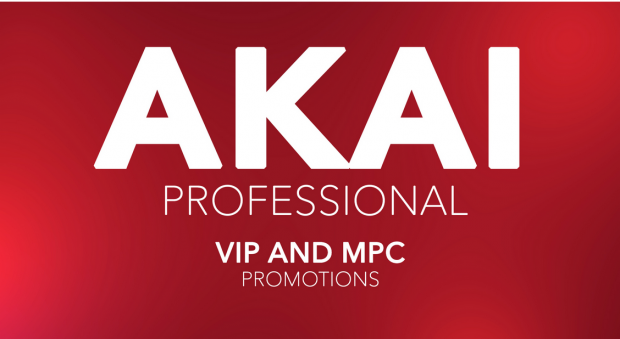 AKAI Pro announce an extension to the “VIP 3.1″ and “MPC 2.2″ promos until July 31st. Keeping the VIP Standard at ONLY $49.99 and the VIP Plus at ONLY $69.99, and the MPC 2.2 Standard at ONLY $99 and the MPC 2.2 Premier at ONLY $249. Here is your chance to get Akai’s award-winning softwares and sounds at very low discount. Purchase at the direct DontCrack Store links below to save big on AKAI’s products, on promo from June 5th until July 31st, 2018! This entry was posted in Audio Software, DontCrack, Plug-ins, Promotions, Sounds, Virtual Instruments and tagged 2.2, Ableton, AKAI, AKAI Professional, Arturia, KeyLab Essential, Korg, M-Audio, Maschine Mikro MK2, MiniLab Mk II, MPC, MPC Live, MPC Premier, MPC Standard, nanoKONTROL, nanoKONTROL2, nanoPAD, Native Instruments, Premier, Promotions, Push 1, Push 2, Standard, Trigger Finger Pro, VIP3 Plus, VIP3 Standard. Bookmark the permalink.